Create a spirited spring event theme that would attract a youthful, energetic crowd of Austin women and men. 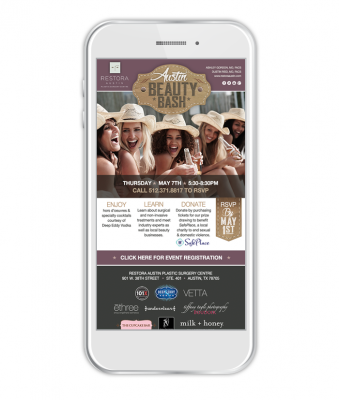 Introduce new, prospective patients to the practice by partnering with local businesses including a well known radio station, distillery, lifestyle magazine, lingerie retailer, and day spa. 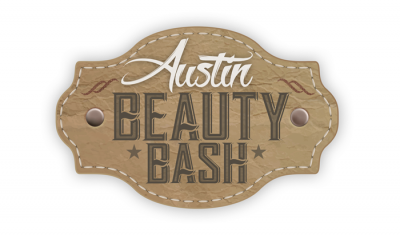 Create a compelling event theme and logo (“Austin Beauty Bash”). 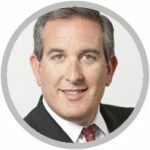 Use graphics to attract the right type of crowd. 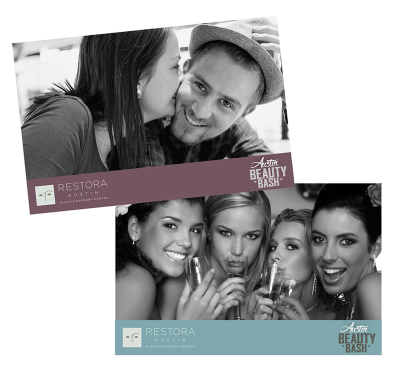 Employ digital e-invites and large posters/fliers to be displayed in partnering local hot spots. During the event, a photo booth was rented so each attendee could take home and post memorabilia photos with an event stamp and name/logo of the practice. 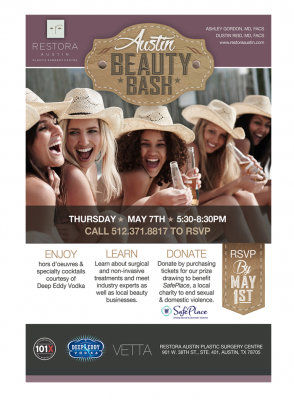 A highly successful, extremely well-attended event that increased the exposure of Restora Austin to their current patient base, as well as a pool of potential new patients.